Yogi Berra played in the World Series 14 times between 1947 and 1963. Ten times he won the championship, more than any other player. All were with the New York Yankees. 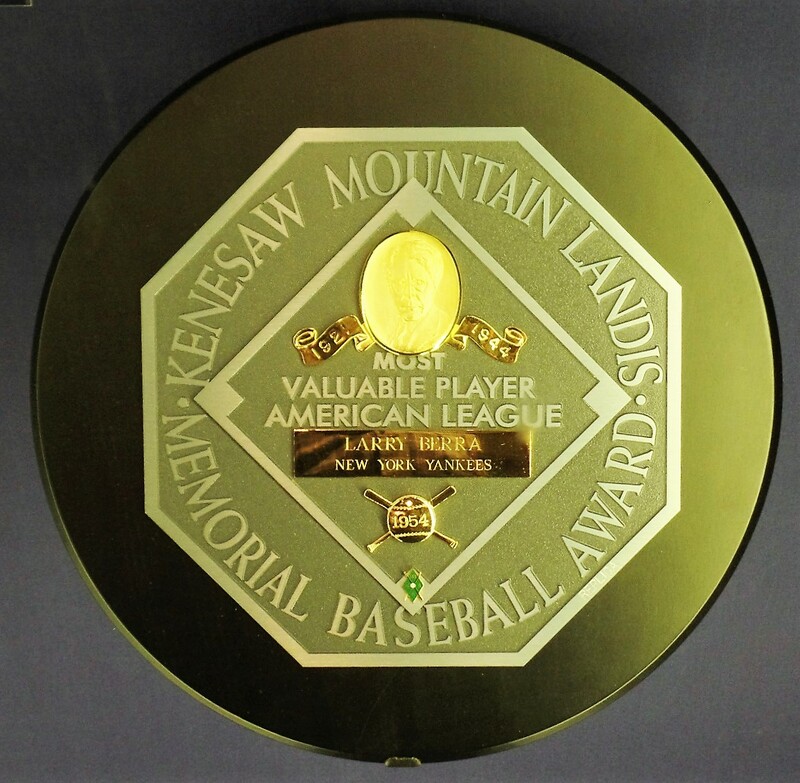 He leads all players in World Series games played (75), plate appearances in the World Series (249) and has the most World Series hits (71). In his first World Series in 1947 he hit the first pinch-hit home run in World Series history. He also managed two different teams in the World Series, the Yankees in 1964 and the New York Mets in 1973. I’m a resident of Montclair, N.J., where Yogi lived since the 1950’s. Here we remember him as a good baseball player but even more as a really good person. 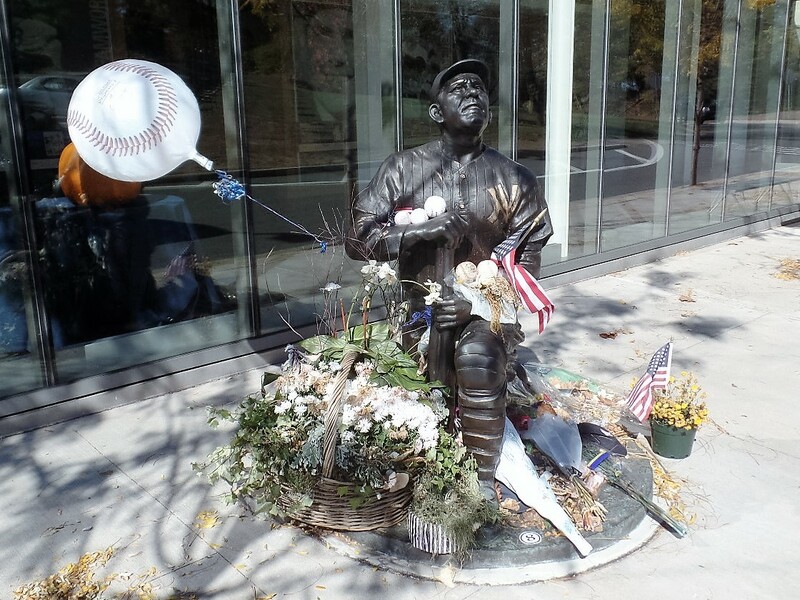 These photos were taken at the Yogi Berra Museum and Learning Center on the campus of Montclair State University. 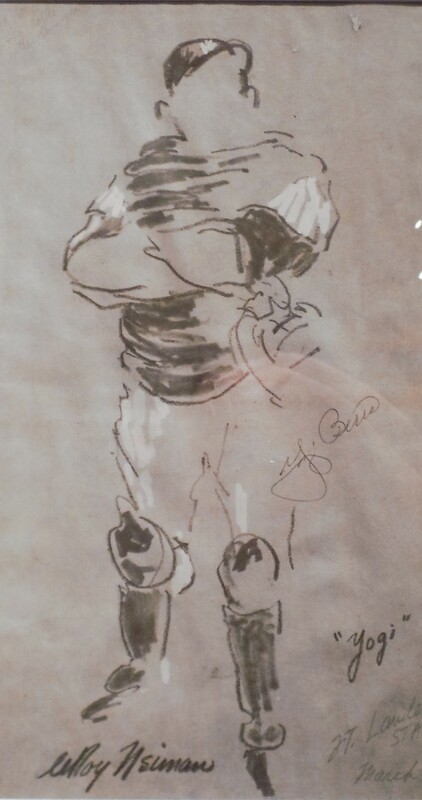 This entry was posted in Baseball, Sports and tagged baseball, catchers, New York Yankees, sports, World Series, Yogi Berra. Bookmark the permalink. 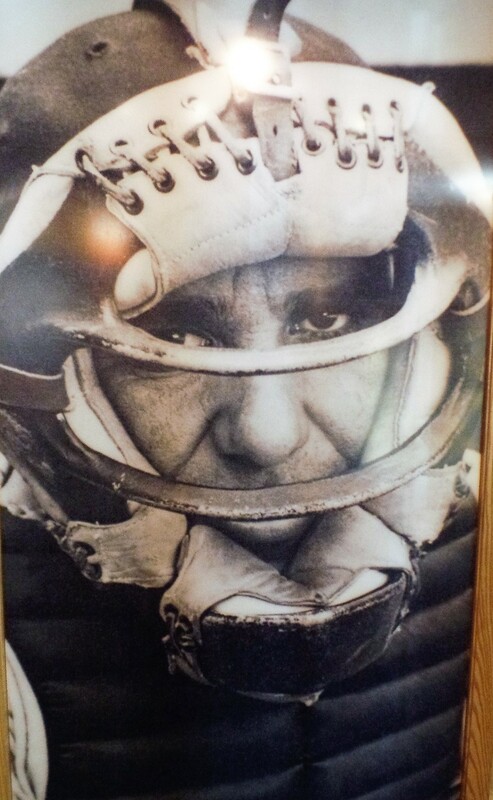 Thanks for sharing these lovely photos of Yogi Berra. Great pictures of Yogi. I hate the Yankees, but I respect them and all their greats. 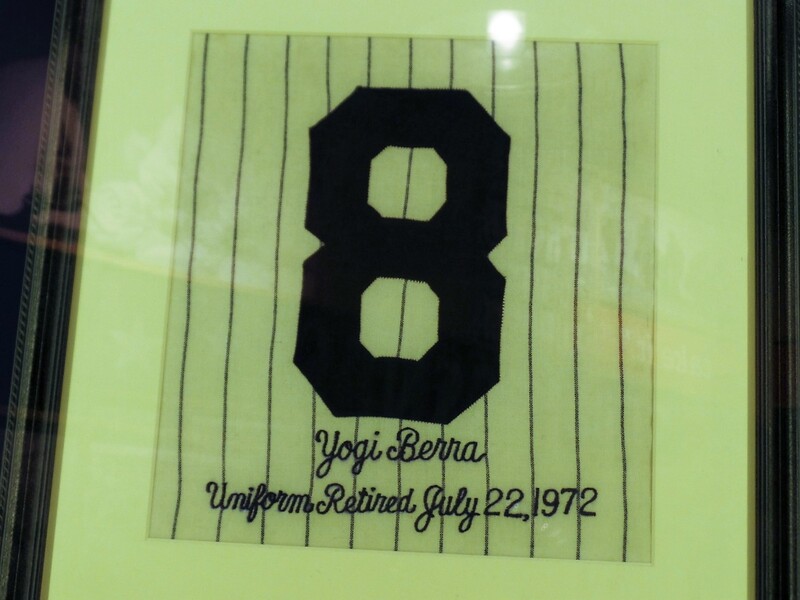 Yogi was a class act.